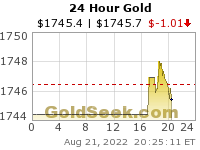 The chart value is in the fundemental knowledge that in theory silver outperforms gold prior to meaningful gold moves?…Is that why you constuct this chart Mathew?? 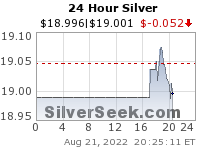 Yes, if silver can move up in a sustained way versus gold, it’s generally a good sign for the whole sector. Powerful bull markets in the miners don’t happen with silver falling vs gold. It’s also meaningful when silver outperforms when the metals have dropped and fear is high. I agree, it’s not much use for timing unless you’re looking to short one metal and buy the other. Been making bank this month swing trading scout positions on JDST and JNUG. Got options on JNUG for Thursday.